Cape Town is a highlight of any trip to South Africa. It is one of the world’s greatest multicultural cities with many museums, wild nightlife, a performing arts scene that could compete with any city in Europe, and mountains towering over the city center. South Africa’s second-largest city is a fun, friendly locale where you can fill each day with the best that nature and a great city have to offer. South Africa has eleven official languages, one of them English and the others African languages, so travelers can usually get by easily with English but learning a few words of Afrikaans is a fun way to connect with locals as English and Afrikaans are the primary languages of Cape Town. Many know Cape Town by its informal title of the “Gay Capital of Africa.” While you’ll find tolerance throughout South Africa (the South African constitution was the world’s first to include provisions for homosexual rights), Cape Town is likely the most openly gay-friendly city in the country. The De Waterkant Queer Quarter is the heart of gay Cape Town. You’ll find many gay-owned and gay-friendly cafes, hotels, shops, clubs, and bars here. 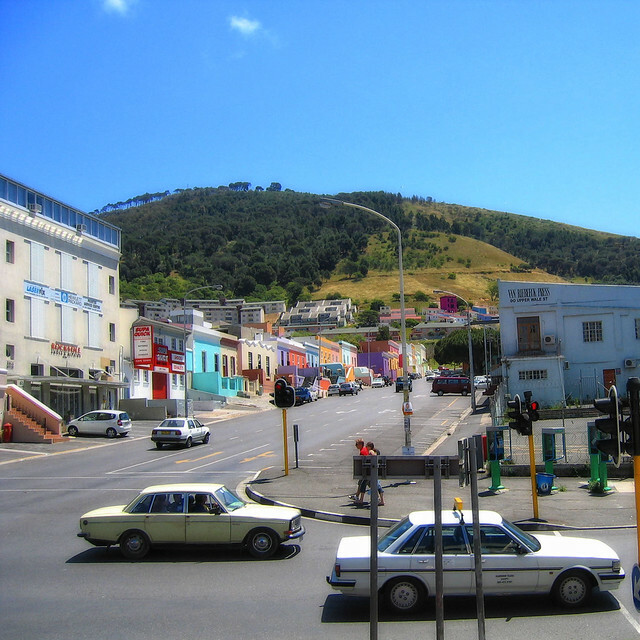 While all of Cape Town is known for its nightlife, the De Waterkant area is known for being particularly fun loving and lively. Every year Cape Town hosts many events including the Mother City Queer Project costume party and the ten-day Cape Town Pride festival. There are many events in nearby locations as well. For example, Out in Africa gay and lesbian film festival has many locations including Cape Town. Few cities are known for their natural beauty, but Cape Town is one of the few that stuns newcomers with opposition of natural wonders and the fast-beating heart of a city. 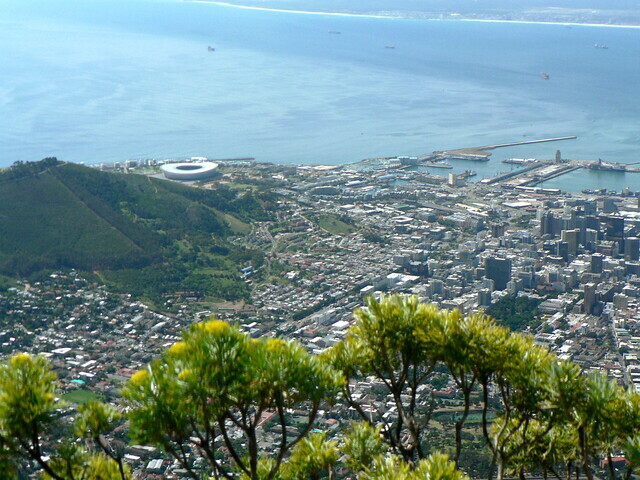 Settled on a peninsula, Cape Town is bordered by shimmering blue waters and tall, rocky mountains. Table Mountain is the closest and most dramatic of the mountains outside of Cape Town. Hikers can climb a steep route to the top of the mountain while navigating the rocks and looking for rock rabbits, a small animal that has similar DNA to an elephant. If you want to see the view, but aren’t up for a hike, a cable car runs up the mountain offering exhilarating views on the trip up and back as well as at the top of the mountain. You can explore along the water in a wide variety of ways. Spend time lazing about on the white sandy beaches and go for a swim. Or find a lively beach and go surfing. Animal lovers can look out for African penguins and take wildlife watching tours on the water and further inland. 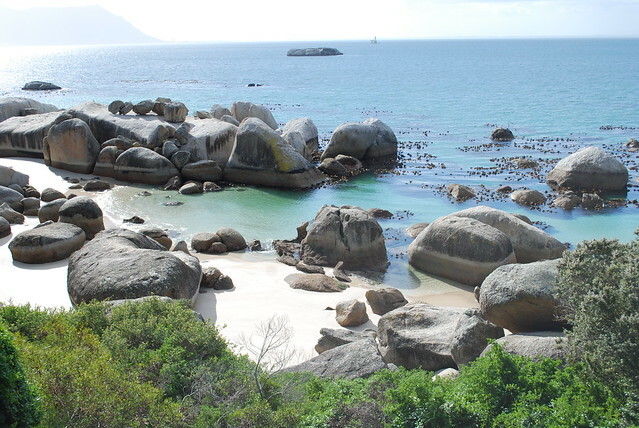 Cape Town is also an excellent jumping off point for exploring South African wine country. The Cape Winelands region is a picturesque land of rolling hills, vineyards, and idyllic farmhouses. Take a leisurely drive through the country stopping to taste wines and sample cheeses or other artisan products of the wineries make, or do the same on a guided for an even more relaxing day.